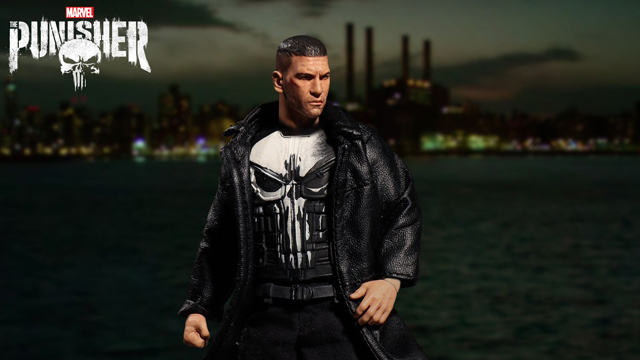 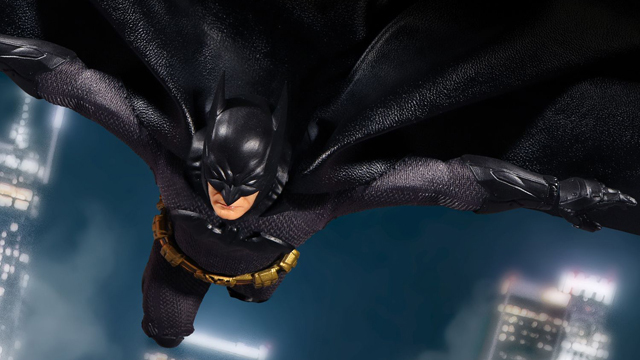 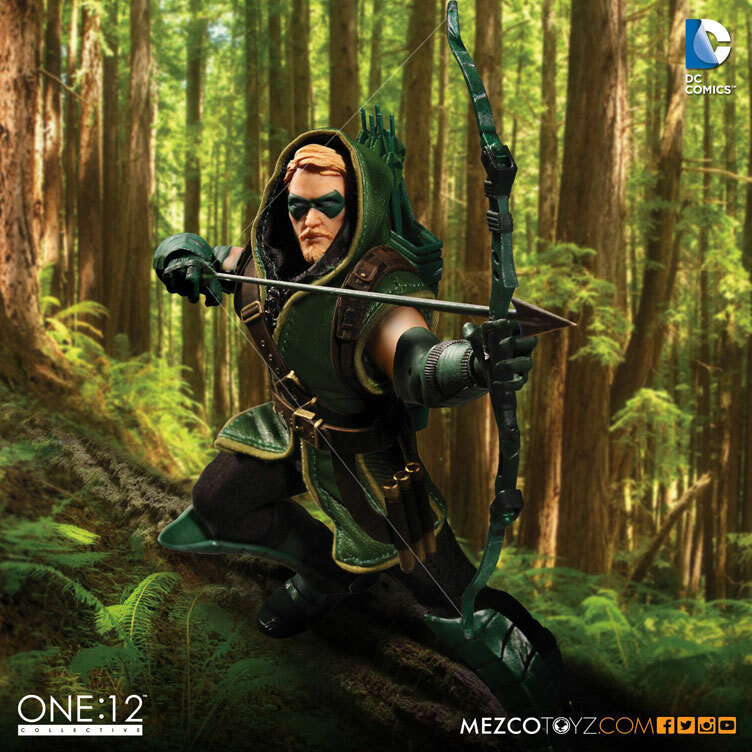 The Justice League’s sharp-shooting vigilante superhero has made his way into the One:12 Collective line with this highly detailed Green Arrow action figure from Mezco Toyz. 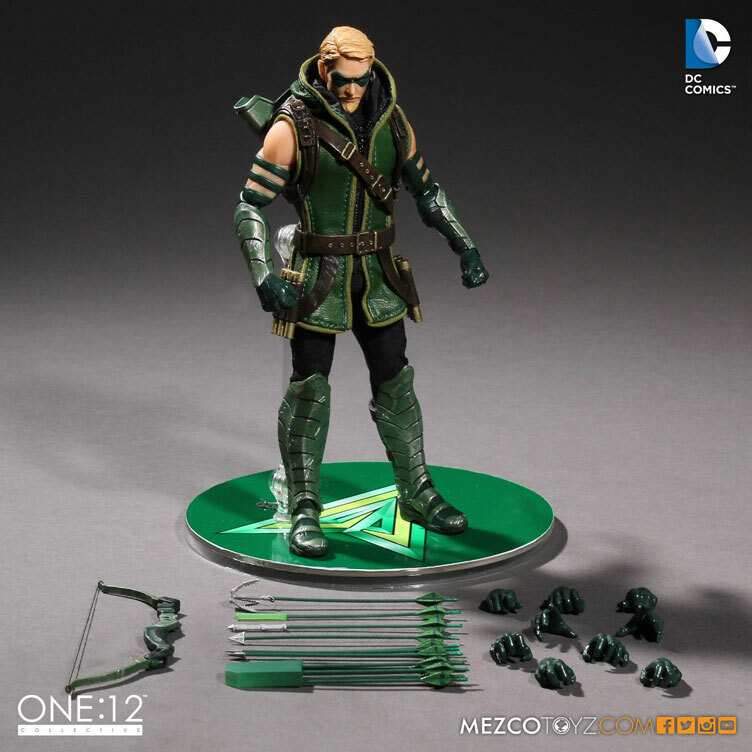 Geared up with bow and quiver, arrows, fabric costume, posable hood and plenty of other awesome features, the Green Arrow One:12 Collective Action Figure by Mezco Toyz does the protector of Star City serious justice with amazing detail and plenty of posing power. 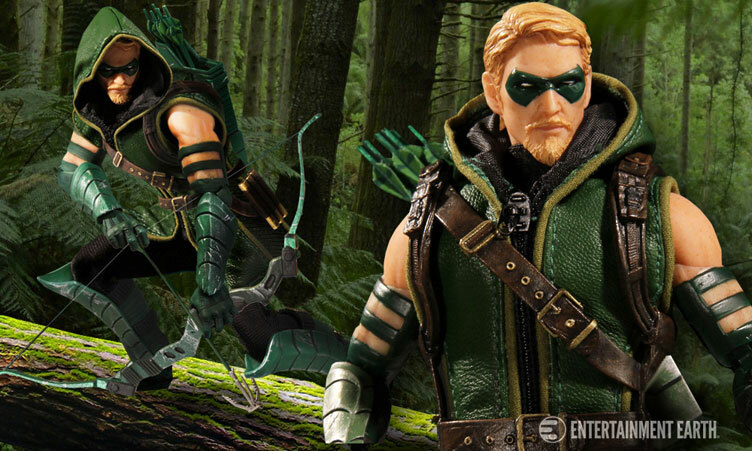 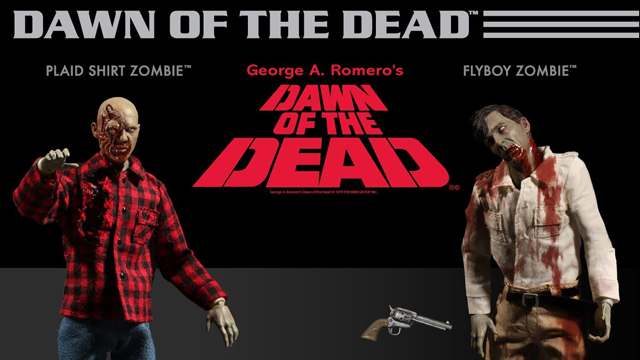 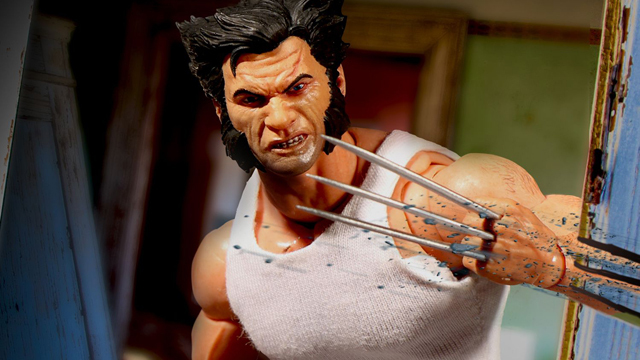 Included with the action figure are tons of accessories to keep him looking sharp such as interchangeable hands, knife and sheath, various arrows, armored boots and gloves, harness, “OTV” protective tunic and a hood with integrated wire for posing and draping so you can switch up his appearance in stealthy style. 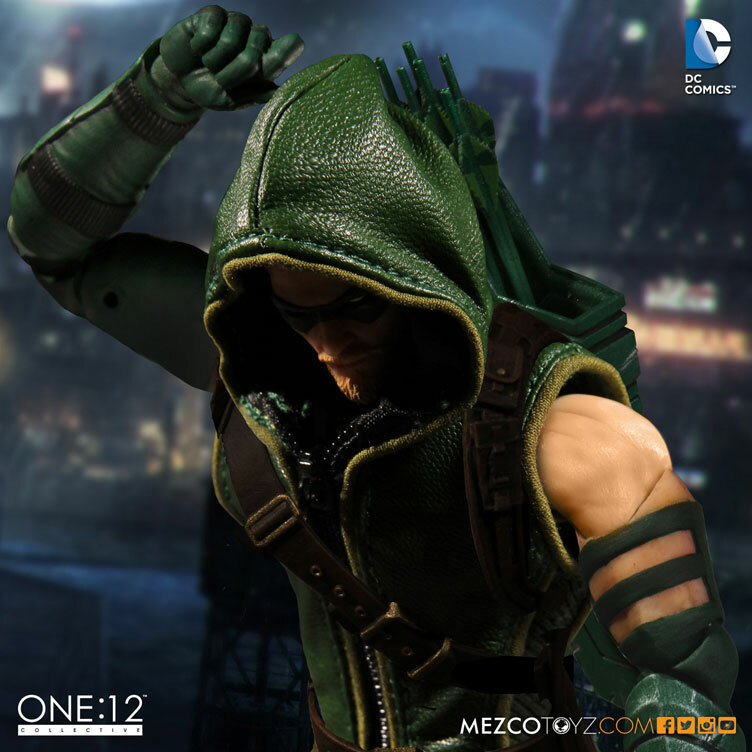 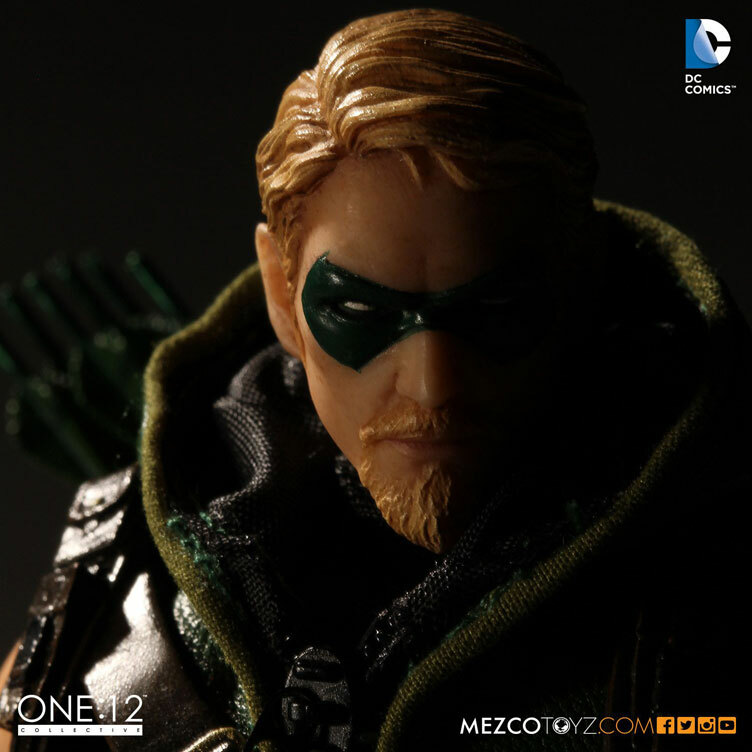 The Green Arrow One:12 Collective Action Figure by Mezco Toyz is coming in November 2016 but available to pre-order at Entertainment Earth. 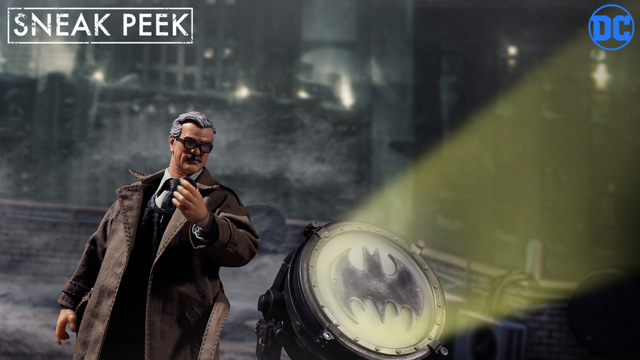 Take a closer look below. 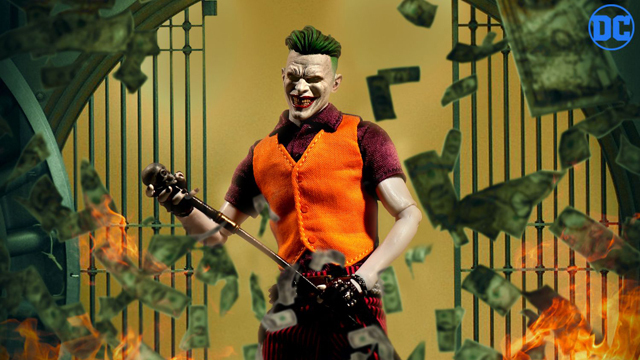 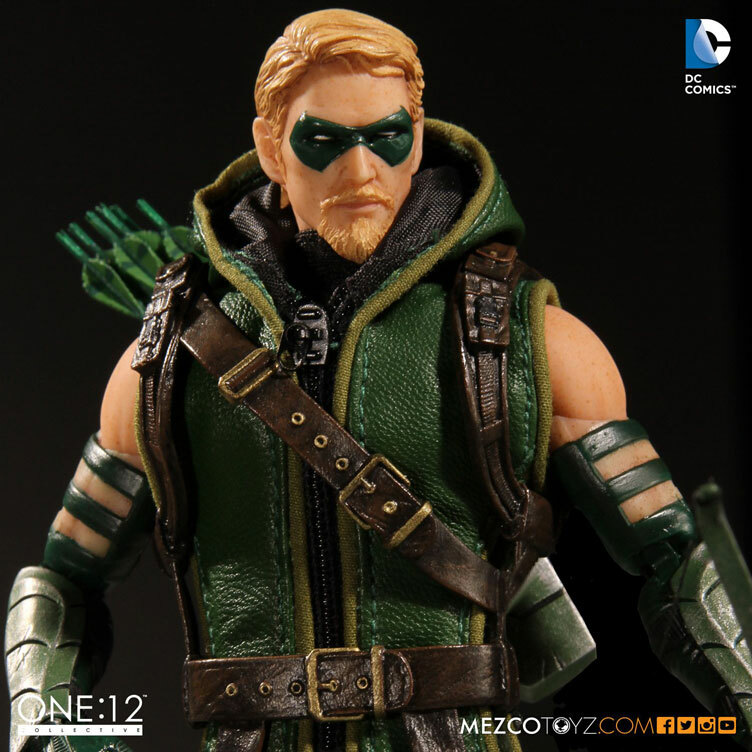 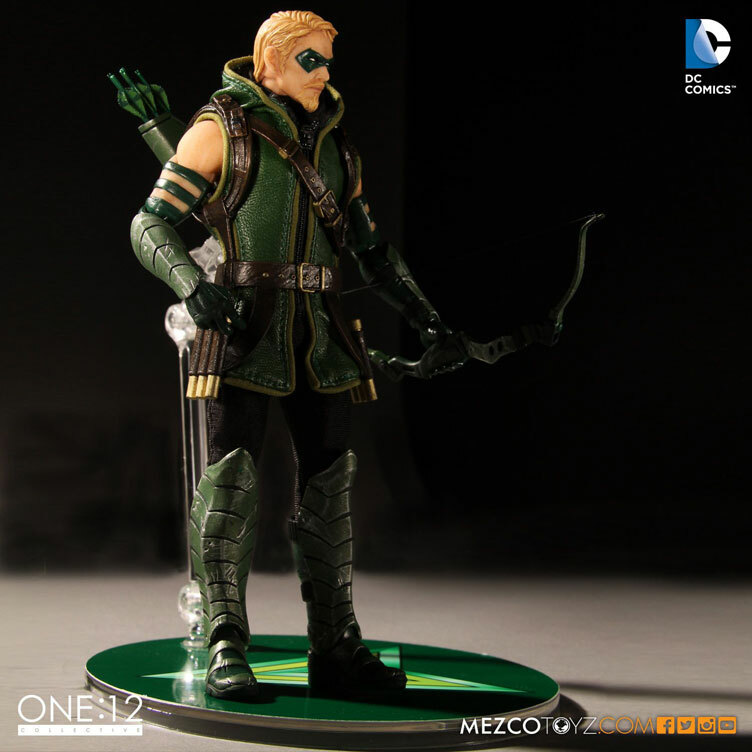 Click here to buy the Green Arrow One:12 Collective Action Figure.